John K. Arthur is the Head of Tarkwa Branch. He graduated from the University of Education with B.Ed. (Science) in 2003. He is a Chartered Insurer and an Associate Member of the Chartered Insurance Institute (U.K.). His insurance career started in 2008 with Insurance Centre of Excellence Ltd. (Brokerage Firm) as an Assistant Manager, after completing Diploma in Applied Insurance Studies at the Ghana Insurance College. 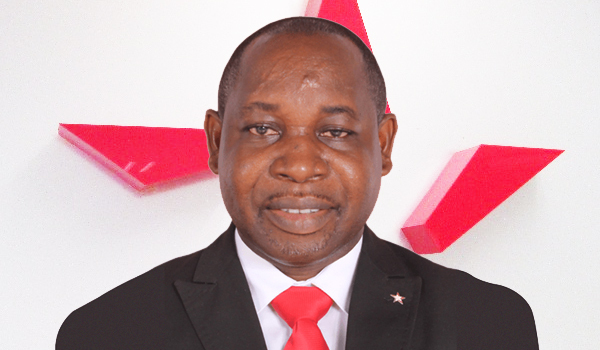 He joined Star Assurance in March 2012 as Senior Underwriting Officer. Before that, he was the Ag. Western Regional Branch Manager for Ghana Union Assurance Company Ltd. He was with our Takoradi Branch until his transfer to head the new Tarkwa Branch in January 2017. John has attended several insurance and management courses organized by the National Insurance Commission and the Ghana Insurers Association. He has appreciable experience in risks and claims survey as well.